Star Wars: What Could The Obi-Wan Kenobi Film Include? It's official. It's finally official. Disney has confirmed what I've been waiting forever since they took over Lucas Film in a deal worth over $4 Billion in 2012. 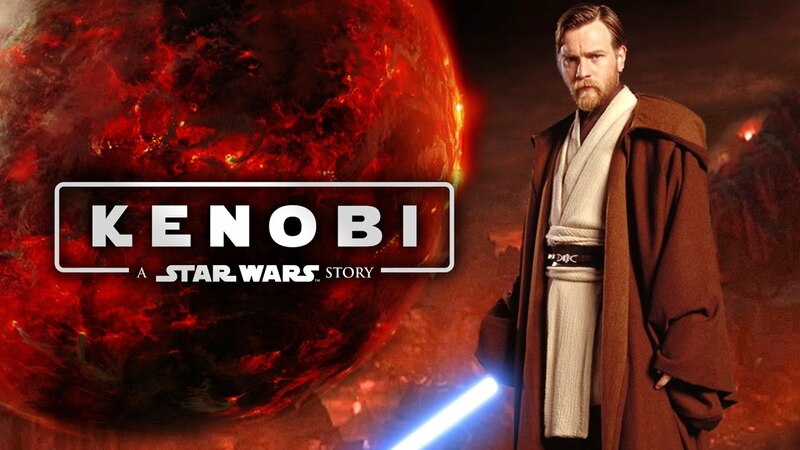 An Obi-Wan Kenobi standalone film will be happening. The film is in a very early stage at the moment. There is no script, no director and no cast. Seeing as I have been waiting 5 years for this to be announced, I thought I would give my ideas on what the film could entail. First off, let me just say: If Ewan McGregor doesn't agree to sign on for the film then Disney should just scrap the film altogether. McGregor was one of the few decent parts of the prequel trilogy, it would be a disaster without him. I believe the film should be set in the time that Kenobi spent living on Tattooine, watching over a young Luke Skywalker. We would be able to see how he lived and just how much impact he had on Luke's upbringing. We would get to see the people he met, see if he ever strayed from the path of a Jedi and fell in love. Maybe he fathered a child, who then went on to be the parent of a little girl named Rey? Who knows. I mean if Rey does turn out to be a Kenobi then there's no doubt in my mind that this film will centre around how that happened. Maybe Kenobi had a previous run-in with Han Solo and that how he and Luke came to board the Falcon in Episode IV. Although, that does seem a bit far-fetched considering how they acted with each other in the original. But maybe Obi-Wan could help the rebel alliance in a small mission since Leia already knew of his existence. A more plausible key plot feature would be Kenobi interacting with the force-ghost of Qui-Gon Jinn. We know that he was to be taught this power by Yoda after the events of Revenge of the Sith. Obi-Wan trained Anakin Skywalker, who then turned to the dark side and took the form of Darth Vader. Kenobi may have not trusted himself to do this again and sought the assistance of Qui-Gon who realised Anakin's potential in the first place. The last thought I had when hearing the announcement was 'did Kenobi and Yoda ever contact/visit each other?'. We know that Yoda planned, and did take exile in the Dagobah system. But did the two Jedi ever visit each other? Or at least stay in contact. It could be possible that all 3 of Kenobi, Jinn and Yoda trained Luke together, whilst all communicating and discussing his next steps. Anyway, these are just some of my thoughts. Do you have another of your own? Or just think mine are waffle? Let me know in the comments below.